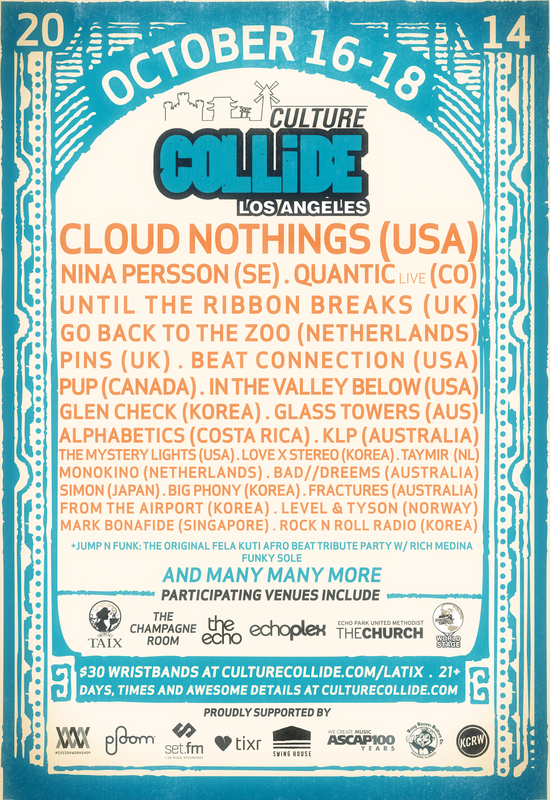 Culture Collide, the annual music festival held in the hipster arts district of Echo Park has just announced its first wave of artists. 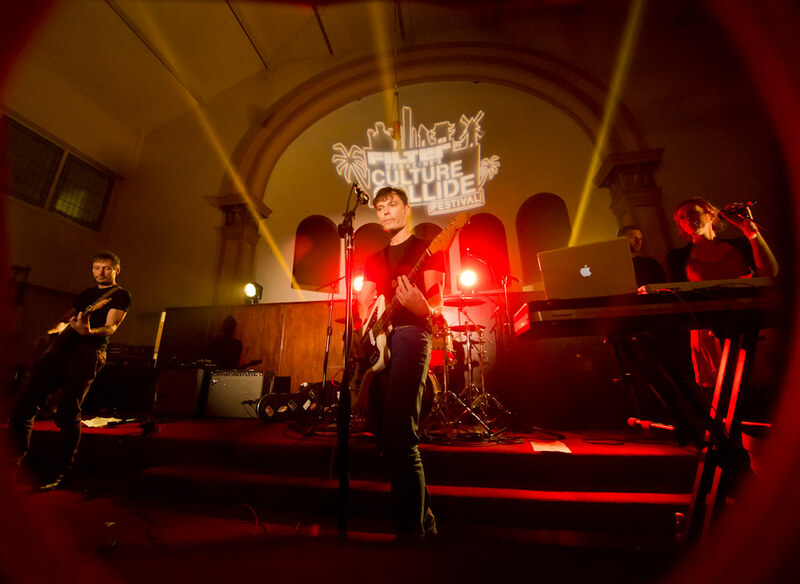 In its fifth year, Culture Collide is Los Angeles' premiere music festival, uncovering new talent while bringing in the best bands from around the world. This year, the music festival runs for four days from October 16-18 and stretches across Echo Park's famous and intimate venues. Cloud Nothings (USA), Nina Persson (Sweden), Quantic live (Colombia), Until the Ribbon Breaks (UK), PINS (UK), Go Back to the Zoo (The Netherlands), Beat Connection (USA), In the Valley Below (USA), Glen Check (Korea), Glass Towers, (Australia), PUP (Canada), Alphabetics (Costa Rica), KLP (Australia), The Mystery Lights (USA), Love X Stereo (Korea), MONOKINO (The Netherlands), BAD//DREEMS (Australia), Taymir (The Netherlands), SiMoN (Japan), Big Phony (Korea), Fractures (Australia), From the Airport (Korea), Level & Tyson (Norway), Mark Bonafide (Singapore) and Rock N Roll Radio (Korea). Many more to be announced. $30 gets you in for all three days. You can purchase your wristbands right HERE.